A movie adaptation of writer Brian K. Vaughan and artist Pia Guerra‘s extraordinary comic book series Y: The Last Man has been in the works for many years now, but it never felt right. The series ran 60 issues, and there was far too much great content to fit into a movie. Even a trilogy of movies would have been difficult. On top of that many believed the movie would have to be R-rated, and that was something the movie studio wasn’t very likely to do. No, this was something that belonged on TV somewhere with few rules and restrictions such as HBO. If you were among those who wished with crossed fingers that Y: The Last Man would not work out as a movie and would one day end up being turned into a TV series, it appears that your wishes are coming true. It’s being reported that the comic is now being developed as a series at FX. Vaughan and Color Force’s Nina Jacobson and Brad Simpson have teamed with FX to develop the comic as an ongoing series, but it is only in development right now. A writer is currently being looked for to join Vaughan in developing the project, and no director is attached yet. Y: THE LAST MAN, winner of three Eisner Awards and one of the most critically acclaimed, best-selling comic books series of the last decade, is that rare example of a page-turner that is at once humorous, socially relevant and endlessly surprising. Written by Brian K. Vaughan (LOST, PRIDE OF BAGHDAD, EX MACHINA) and with art by Pia Guerra, this is the saga of Yorick Brown—the only human survivor of a planet-wide plague that instantly kills every mammal possessing a Y chromosome. Accompanied by a mysterious government agent, a brilliant young geneticist and his pet monkey, Ampersand, Yorick travels the world in search of his lost love and the answer to why he’s the last man on earth. While I as a fan of the comics was really hoping to see Y: The Last Man on a channel where almost anything goes, a series on FX feels like a step up from the previously planned movies and I’m now more excited to see how it all comes together. 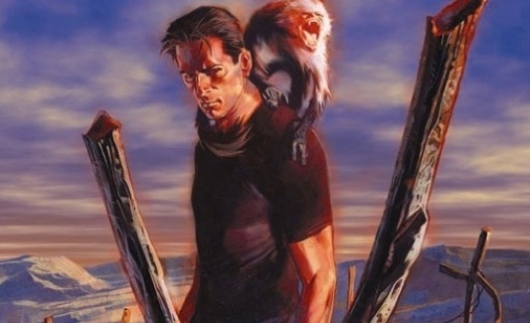 Are you excited about a possible Y: The Last Man series on FX?